Being an exquisitely sensitive infrared astronomical observatory, the James Webb Space Telescope's optics and scientific instruments need to be cold to suppress infrared background "noise." Moreover, the detectors inside each scientific instrument, that convert infrared light signals into electrical signals for processing into images, need to be cold to work just right. Typically, the longer the wavelength of infrared light, the colder the detector needs to be to do this conversion while also limiting the generation of random "noise" electrons. Three of Webb's four scientific instruments "see" both the reddest of visible light as well as near-infrared light (light with wavelengths from 0.6 microns to 5 microns). 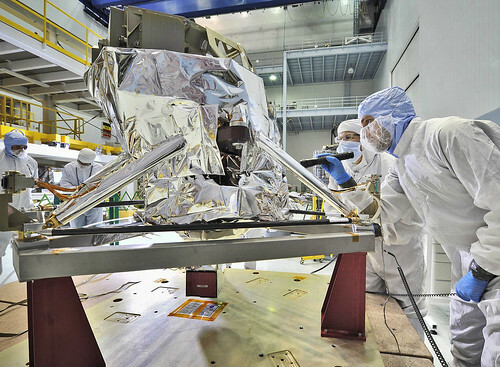 These instruments have detectors formulated with Mercury-Cadium-Telluride (HgCdTe), which work ideally for Webb at 37 kelvin. We can get them this cold in space "passively," simply by virtue of Webb's design, which includes a tennis court-sized sunshield. However, Webb's fourth scientific instrument, the Mid-infrared Instrument, or MIRI, "sees" mid-infrared (MIR) light at wavelengths from 5 to 28 microns. 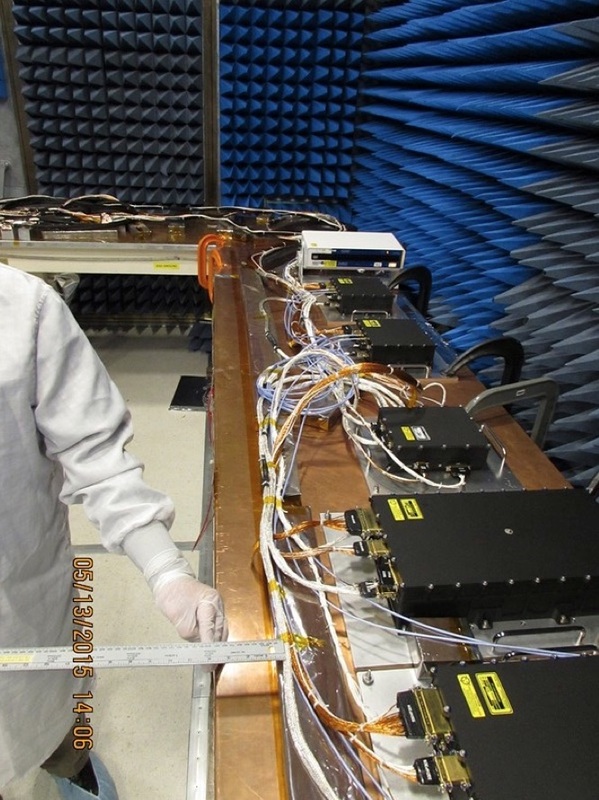 By necessity MIRI's detectors are a different formulation (Arsenic-doped Silicon (Si:As)), which need to be at a temperature of less than 7 kelvin to operate properly. 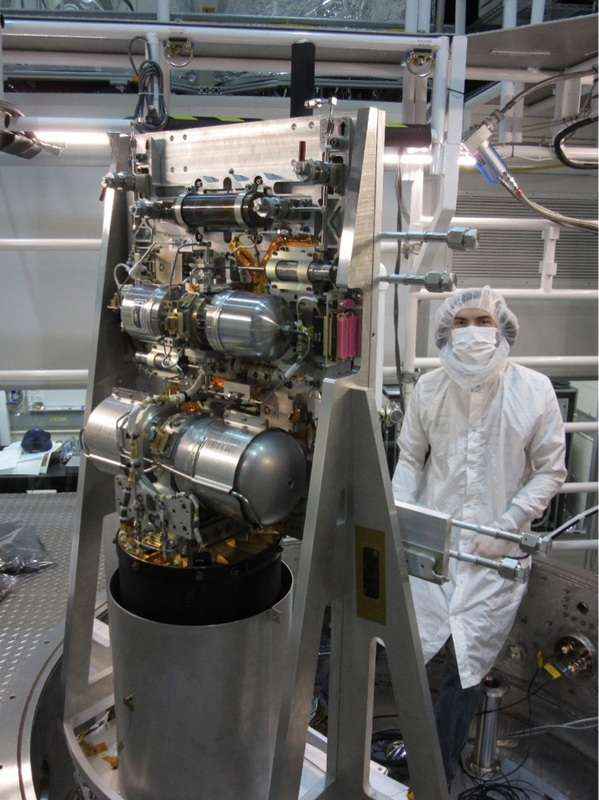 This temperature is not possible on Webb by passive means alone, so Webb carries a "cryocooler" that is dedicated to cooling MIRI's detectors. the separation between precooler and the JT cooling hardware; typically this separation is centimeters, not several meters. Moreover, one of the cryocooler's most challenging requirements is low-vibration. Vibration levels need to be very low to preclude jitter (induced shaking) of the optics and resultant blurred images. The pulse tube cooling in the precooler in the CCA and the Joule-Thomson effect cooling in the CHA have no moving parts. The only moving parts in the cryocooler are the two 2-cylinder horizontally opposed piston pumps in the CCA, and by having horizontally-opposed pistons that are finely balanced and tuned and move in virtually perfect opposition, vibration is mostly cancelled-out and thus minimized. Being a refrigerator and a "closed" system, the cryocooler does not consume coolant like an ice chest full of ice or a big container (a.k.a. dewar) of liquid helium does, and so its life is limited only by wear in its moving parts (the pumps) or the longevity of its electronics, all of which should last for many years. For additional information see the feature article on MIRI and the cryocooler on NASA.gov. The Webb MIRI cryocooler is basically a sophisticated refrigerator with its pieces distributed throughout the observatory. The primary piece is the Cryocooler Compressor Assembly (CCA). It is a heat pump consisting of a precooler that generates about 1/4 Watt of cooling power at about 14 kelvin (using helium gas as a working fluid), and a high-efficiency pump that circulates refrigerant (also helium gas) cooled by conduction with the precooler, to MIRI. The precooler features a two-cylinder horizontally-opposed pump and cools helium gas using pulse tubes, which exchange heat with a regenerator acoustically. The high-efficiency pump is another two-cylinder horizontally-opposed piston device that circulates a different batch of helium gas separate from the precooler's helium. The CCA is located in the heart of the spacecraft bus, on the sun-facing "warm" side of the observatory, and it precools and pumps cold helium gas through plumbing to MIRI, which is roughly 10 meters away in the integrated science instrument module (ISIM). The CCA is controlled by the Cryocooler Control Electronics Assembly (CCEA), which is a collection of electronics boxes mounted in the spacecraft bus inside the port-side equipment panel. The CCA is connected to the ISIM via the Cryocooler Tower Assembly (CTA), which is a pair of gold-plated stainless steel tubes (a feed line and a return line), each about 2 millimeters in diameter, held every foot or so by a series of delicate suspension assemblies (called Refrigerant Line Supports, or RLSs), mounted to the outside of the observatory structure. The CTA connects to the final piece of the cryocooler called the Cryocooler ColdHead Assembly (CHA), which resides in the ISIM. Within the CHA plumbing, inside a gold-plated cylinder roughly the size and shape of a large coffee can, is a small (less than 1 millimeter) orifice that the cooled helium refrigerant passes through, resulting in expansion and final cooling of the helium gas down to about 6 kelvin, care of the Joule-Thomson (JT) effect. This coldest of refrigerated helium gas passes through more 2 millimeter tubing to a palm-sized copper block fastened to the backside of the MIRI detectors. This is where the target heat is exchanged, resulting in cooling of MIRI's detectors to nominally around 6.2 kelvin. 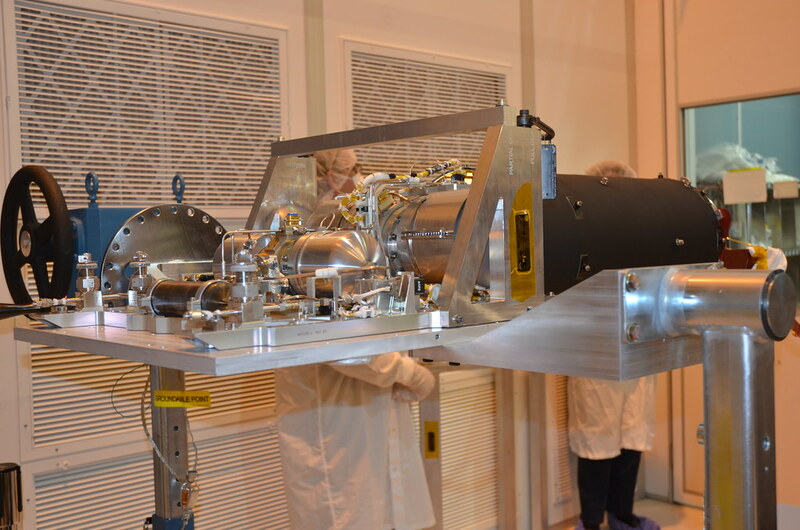 The CHA also contains valves that allow helium to bypass the JT restriction when the observatory and MIRI are in cooldown mode (such as shortly after launch during deployment and commissioning). The CCA, CTA and CHA tubing are connected together with pairs of 7/16 inch fittings that on the outside resemble automotive hydraulic brake line connections.